This is a sponsored post created in partnership with Gaijin Entertainment. 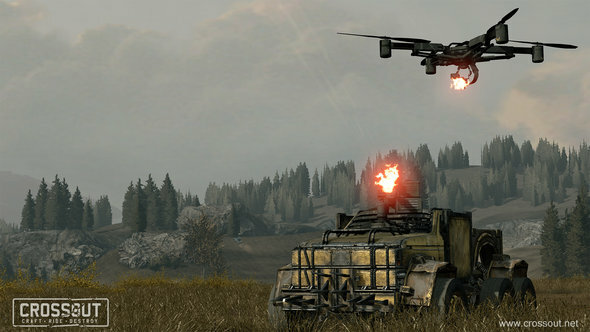 Crossout’s gameplay is divided over two areas: fighting and building. The smug satisfaction you can get from mounting a cannon to the back of your vehicle and then swinging round, mid-combat, to reveal your enormous tube of fiery death is what makes being a wasteland survivor so awesome. But you can only do this if you’ve got the parts and the knowledge to make it possible. And while you’ll have to source the parts yourself, we can definitely help you with the latter. 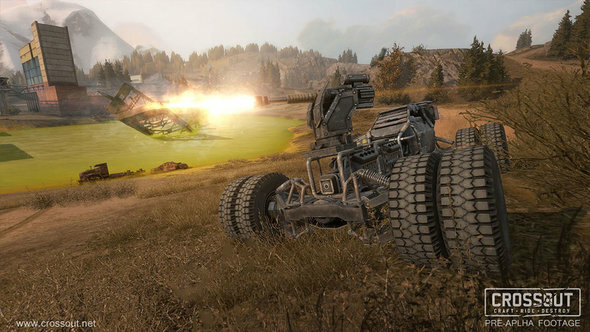 If you fancy getting involved in some vehicular destruction, sign up to play Crossout for free now. 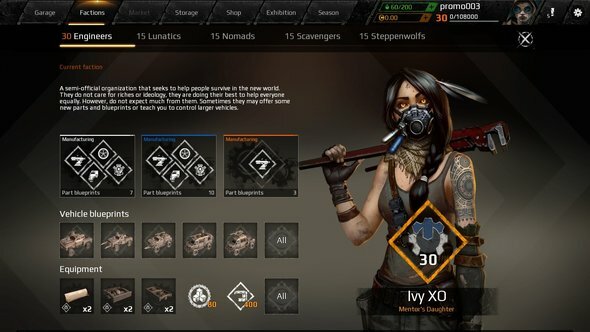 Here we’ve put together a beginner’s Crossout guide covering vehicle construction, resource management, weapons and combat. Read on and you’ll be the maddest Max to ever drive across the wasteland. When selecting the parts for your rig, you’ll want to pay attention to how they affect your Power Score – the number in massive lettering right at the top of the panel whenever you hover over an item. The Power Score is an approximation of how dangerous your vehicle is and is used by the matchmaking system to decide who you will play with or against. Vehicles are based around three parts: cabins, wheels, and frames. The cabin is the basis of your vehicle and will ultimately determine your style of play. The shield symbol is your armour, which is Crossout’s equivalent of HP. Wheels come in different shapes and sizes and contribute to your armour and power scores. Generally speaking, the larger the wheel, the tankier the rig. Those with an ST in the name are steerable wheels. You can have more of these if you want to increase your vehicle’s handling and decrease its weight. Either way, be sure to include at least two of these or you’ll be driving in a straight line. Frames simply determine the length and width of your vehicle. There are a lot of options when it comes to customisation in Crossout, and deciding what to use in your first few vehicles can be troublesome. Here are some suggestions to get you started. Fuel barrel – Easily the most important item for the early game, this will enable you to salvage precious fuel after winning matches. Be sure to stay alive or it won’t work. And don’t weld more than one of them to your vehicle as they don’t stack. Car jack – If your vehicle flips over during combat, this will absolutely save your bacon. If you don’t have a car jack you’ll have to rely on the kindness of other players to flip you back. We would not recommend doing that. Weapon radiator – This is practically mandatory for shotgun users, but is still really useful for anyone wanting to deal high damage. If your weapons are overheating quickly, this will extend the amount of time you have before they stop firing. Radar/radio – These items will increase the radius at which you can detect enemies, and are thus necessary if you intend to fight from range. Scope – Useful for anyone who wants to snipe enemies with a cannon. Once you’ve constructed your rig, always hit the ‘Test Drive’ button and take it for a spin. There are a few things that you should check out here. Try firing your weapons at different angles. Make sure you can actually fire them as sometimes they get blocked by parts of your vehicle. If you drive out of the workshop and into the yard, you’ll see an exact copy of your rig. This is a great opportunity to test out how it will stand up to punishment. Fire at it and make sure it doesn’t disintegrate at the first sign of a bullet. 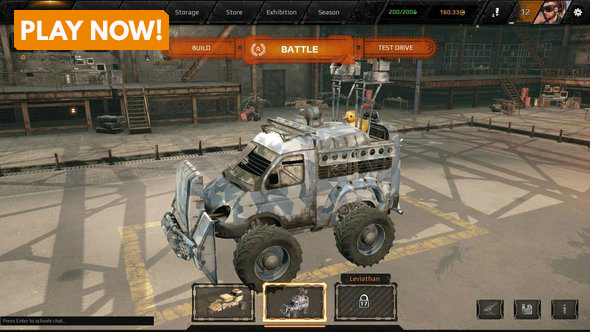 There are several resource types in Crossout, with each serving a different purpose. Gold is used to purchase new items on the market, as well as new vehicles and packs. You can acquire more gold by selling the loot you get in-game or by purchasing it. Fuel is used to go on raids. It can also be sold for gold. If your fuel is running low you can top it up using the jerry can in your storage. This resource will refill itself on a daily basis, so if you’re done for the day, don’t bother wasting precious jerry can fuel on your main supply. 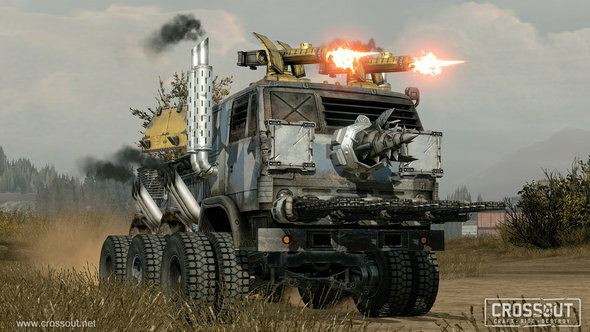 Scrap metal is used to craft most items in Crossout. Everything is made of scrap metal, from weapons to car doors. If you‘re running low on it, consider salvaging some of the parts you no longer need. Copper is mostly acquired through raids and is used to craft wires and electronic equipment. Coupons are a special resource and can be traded with engineers for rare items. Machine guns are the first gun you’ll be allowed to use and are by far the most versatile. While they are relatively weak, you can usually have quite a lot of them, and they can fire from a mid-to-long distance as well as up close. Shotguns are extremely powerful at close range but can only fire a short burst before having to cool off. For this reason, they are suited to combatants who want to get in close and are often paired with melee weapons. Cannons are the most powerful early game weapons and can easily destroy a car in just a few hits. They are, however, much more useful at long range and have a limited angle of fire. Melee weapons are used by many different drivers. They are very handy for players who like to get up close and personal and can be used to ram enemies away from objectives. PvP fights in Crossout are fast-paced and frenetic. Understanding how to use this chaos to your advantage is the key to victory. Here are five handy tips for surviving in the petrol-drenched wastelands. Most players, especially at lower levels, don’t have access to any strong frames or struts to mount their guns on. In fact, they’re often just welded to the vehicle’s base frame. If you focus your fire on the enemy’s weapons, you can easily destroy them, turning their vehicle into a defenceless target to practice your aim on. Watch out for melee weapons, though – they can still tear you up. Check the bottom of the list of player names for any that are made of single-word, forgettable names like ‘Madison’ or ‘Tony’. These are AI-controlled bots and are easy pickings for us homo sapiens. Try to kill them as quickly as possible. Not only will this leave your opposition outmanned and outgunned, it will also bag you extra goodies at the end of the game for getting more kills/assists. Cannons are by far the most powerful weapons at the start of the game and can easily shred your vehicle from the other side of the map. If you see someone firing one of these at you or a teammate, it is often sensible to focus your attention on them before you end up part of a vehicular bolognese. Some players, particularly those using cannons, can only shoot when you’re on a certain side of their vehicle. Use this to your advantage by getting on their weaker side, then unleash a volley of fire and watch them turn into a smouldering wreck. 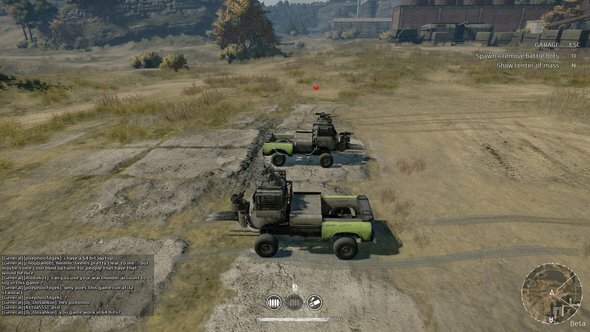 The early game modes in Crossout all involve controlling or capturing a point so make sure you keep your eyes on the top of the screen to see if your base is in trouble. It’s very easy for someone to slip away and start capturing a base, given how fast some of the vehicles can move and how open the maps are. 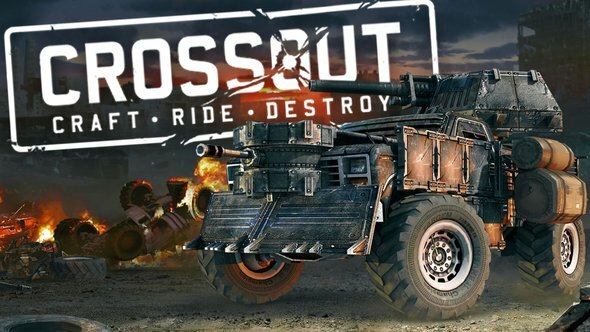 PvE in Crossout is a different beast altogether, and while most of the above rules still apply, there are a few extra things to keep in mind. Try to stick with your teammates because the game will usually throw more and more enemies at you as the raid continues. If you get caught on your own, you’ll quickly be torn to pieces, so sharing the damage between the whole group will ensure that you always have the maximum amount of firepower available to you. Your repair kit will allow you to respawn if you die, but you only get one of these per raid. For this reason, it’s best to save it until your allies are in desperate need of help. If you get destroyed half way through and the rest of your team is doing fine without you, consider waiting until the end when they’ll really need you at full health. If you’re on an objective-based raid, such as the ones where you have to protect oil pumps, be absolutely certain that you’ve cleared one before moving on to the other. It’s very easy for a single enemy to be left, slowly chipping away at a pump’s armour while you manage a swarm of vehicles at the other side of the map. Now you’re on your own, survivor. Get out there and raise some hell. If you get stuck, or just need a reference for what something does, don’t forget to give the Crossout wiki a visit. You can also just ask around in general chat – the community is normally happy to help out.